Patriot is a dynamic alarm monitoring suite which is tailored to suit the exact requirements of your CMS or ARC through a huge range of modules and tiered licensing plans. As your client list and requirements grow no re-installations are necessary as Patriot evolves with your business and with the latest emerging technologies. Depending on the amount of client / sites you need to monitor, how many operators will be monitoring alarms and if your station requires and additional modules. 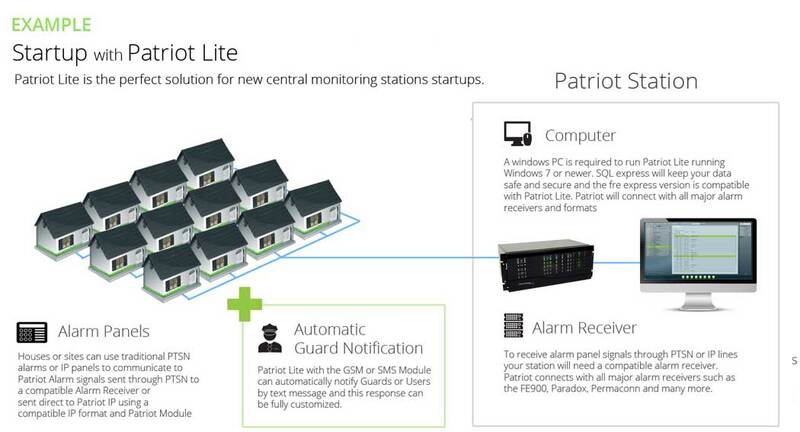 Patriot Lite is for startups, universitys, zoos and small CMS stations. 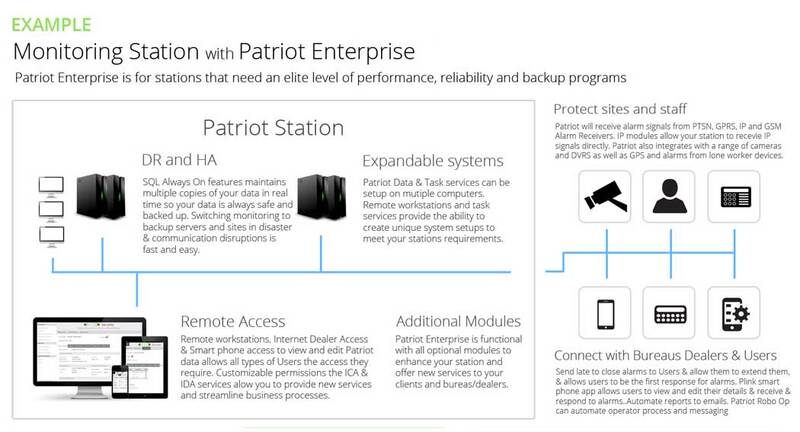 Patriot Professional is for medium to large CMS /ARC Stations and Enterprise offers premium features such as advanced SQL backup configuration, interface options and additional modules. Patriot Alarm Monitoring Software is flexible and can be customized with an constantly expanding range of modules that are introduced with the latest alarm monitoring technologies. Customize your Patriot Suite to meet your needs and only pay for the features you and your clients require. This means that you can still offer a range of premium features to your clients as they can be supplied and implimented quickly, easily and usually with no additional software required. 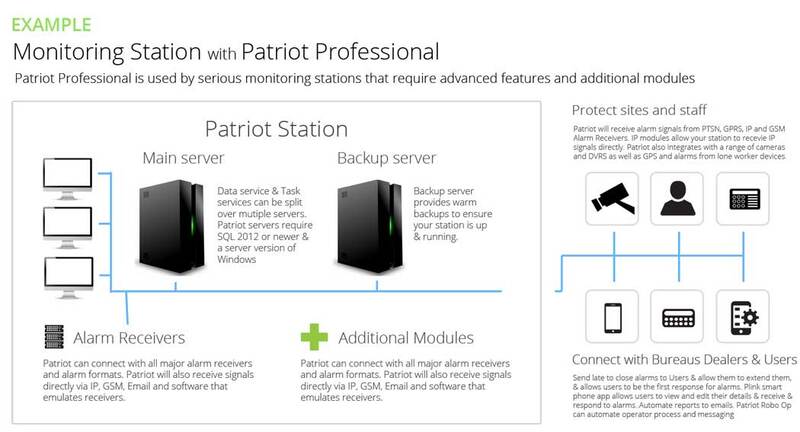 Patriot is compatible with all major formats and alarm receivers.